Chipotle opened its first store in 1993 and has seen astonishing growth and financial success since going public in 2006. Chipotle has been one of the industry’s leaders in serving sustainable food. It is trying to change the way people think about and eat fast-food. It has recently been marketing its commitment to serving high-quality and sustainable ingredients through various media outlets and programs. Despite being considered an industry leader in sustainability, Chipotle’s advertisement and practices have been criticized for being unethical and misleading to customers. The ethics of its advertisement and practices have been questioned, but nevertheless, Chipotle is shining the necessary light into the problems of the farming and agriculture industry. Chipotle is making consumers more aware and conscious about what they are eating. Even if not all of Chipotles practices are completely ethical or sustainable, it is setting an example that other companies in the industry can follow. Founder Steve Ells created the concept of Chipotle in 1993 with a single store in Denver, Colorado. Since then, the fast-casual Mexican-style chain has experienced explosive growth in the US over the last 22 years through the help of investors such as McDonald’s. Opposed to popular belief, McDonald’s was only an investor and was not involved in any of the food sourcing. It fully divested from Chipotle in 2006. In 2005, the company only had sales of $628 million and only had 460 stores. In 2014, sales reached $4 billion and had 1,755 restaurants across the United States. It currently has a market capitalization of $20.5 billion. It expects to open around 200 additional restaurants this year (Chipotle 10-K). To Bucknell student’s delight, it is also finally opening a restaurant on Route 15 in Lewisburg, Pennsylvania. Chipotle’s growth and success have been centered on the belief of serving quality ingredients. It has used this competitive advantage to help drive its growth and carry out its business plan. It has also been an advocate in the industry for developing better practices for food sourcing. As soon as 1999, Steve Ells sought out to improve the taste of Chipotle’s pork. After being horrified by Concentrated Animal Feeding Operations (CAFOs) it started to source from open-range pork suppliers. Soon after in 2001, Chipotle released its mission statement called Food With Integrity. This slogan highlighted Chipotle’s “commitment to finding the very best ingredients raised with respect for the animals, the environment, and the farmers” (Chipotle 10-K). Chipotle brands its meats as “Responsibly Raised”, which entails raising animals humanely and without the use of antibiotics or added hormones (Chipotle 10-K). By 2010, 100% of Chipotle’s pork was naturally raised. Today it sources 100% of beef from farms that meet or exceed naturally raised standards. Much of its other produce is also organically grown using USDA organic certification. Chipotle supports small family farms as some of its produce is locally sourced (within 350 miles of the restaurant). In 2014, it served more than 15 million pounds of local produce (FOOD). The sour cream and cheese is made with milk that comes from cows that are not given rBGH and is sourced from pasture-based dairies that provide an even higher standard of animal welfare by providing outdoor access for cows (FOOD). Chipotle has had tremendous measurable success in serving sustainable food, but it has faced many challenges delivering on its promise of Food With Integrity. When Chipotle started purchasing naturally raised beef in 1999, it could hardly find any suppliers that met standards. Since then, Chipotle has “put a lot of work into poking, prodding, convincing, and occasionally applying guilt to ranchers in order to get more and more suppliers to meet our naturally raised standards” (Chipotle). However, at times the supply of Responsibly Raised meats is not enough to meet Chipotle’s demand. For periods in 2013 and 2014, Chipotle was forced to go against their mission and serve conventionally raised beef that contained antibiotics due to a shortage of beef across the US. In 2013, only about 80-85% (compared to 100% a year before) of Chipotle’s beef was naturally raised (Wong, 2013). Whenever this happens Chipotle informs the public of what meats are temporarily conventionally raised so that customers can avoid those meats if they choose to do so. The fast-food chain faced another challenge earlier this year in January after it suspended purchases from a pork supplier that was not meeting Chipotle’s standards after an audit. Due to this, Chipotle announced that it would stop serving pork at a third of its restaurants. This is a great example of Chipotle’s commitment to its high sustainability standards in that the company would rather have a shortage of pork than to get it from a supplier that was no longer qualified. Chipotle was very transparent about this issue and worked with Niman Ranch, a sustainably reputable supplier, to increase its supply of pork in a sustainable matter. Chipotle has historically dealt with critics who want more transparency. Since 2006, Chipotle has been accused of lack of transparency with their mission and has been attacked because some of their ingredients are not sustainable. To add to this, Chipotle refused to sign a Fair Food agreement in support of the Coalition of Immokalee Workers, an NGO founded by Florida tomato farmers to increase wages for its tomato pickers. In 2012, Chipotle finally signed the agreement with the coalition after protests erupted outside of Chipotle’s headquarters. Chipotle realized their reputation was at risk and needed to strengthen and build upon its original Food With Integrity vision. They have also made efforts to be more transparent and now even disclose which ingredients contain GMOs (genetically modified organisms). They are working on replacing such ingredients with non-GMO ingredients. In 2011, it launched a “Cultivate a Better World” campaign by creating a non-profit called the “Chipotle Cultivate Foundation”. The foundation, which has received more than $2 million from Chipotle to date, helps fund initiatives that support sustainable agriculture, family farming, culinary education, and innovation that promotes better food. It is committed to not only creating a healthier and more sustainable food supply, but it is also committed to raising public awareness concerning food issues. Through its Cultivate Foundation, Chipotle has run several advertisement campaigns that overlap with the company’s efforts to promote sustainable foods and raise awareness about food sourcing. Chipotle has addressed the reality of today’s agriculture business by releasing two animated advertisements as well as a satirical TV series. The two animated films “The Scarecrow” and “Back to the Start” have had 14 million and 8.8 million views, respectively. Both animated films have strong anti-factory-farming messages. “Back to the Start” tells the story of a pig farmer’s transition from running a huge industrialized farming operation to realizing that he needed to “go back to the start” and farm using more-sustainable and natural practices. In the other film a “Scarecrow” grows increasingly sad as he sees cows and chickens being pumped with chemicals until he too decides to cultivate and cook fresh food from his garden. Both characters are representations of Chipotle and its mission to shift from processed goods and factory farming to more sustainable and naturally raised foods. Both films employ strong emotions to send a message to consumers. Chipotle has also launched a four episode series called “Farmed and Dangerous” that continues to bash industrialized farming. This is a satirical show in which fictional mega-corporations go to extreme measures (such as feeding cows petroleum which causes them to explode) to make money and at the same time disregard the health of animals and consumers. The hero of the series is a free-range cattle farmer and the head of the Sustainable Farming Association who is trying to take down the unethical industrial farming corporations. There has been a lot of criticism against these marketing campaigns because they exaggerate, generalize, and misrepresent the food industry. Farmed and Dangerous is especially unrealistic. Critics are also harsh on Chipotle because they claim to associate themselves with a small farmer when they are truly a giant corporation using advertisement money to deceive the public. 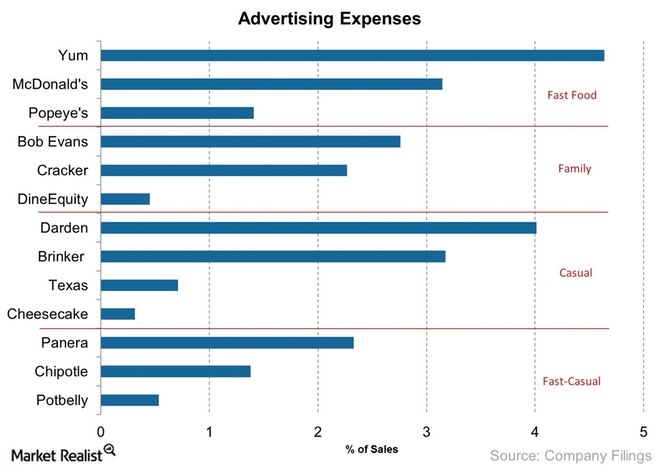 However, Chipotle only uses 1.4% of revenues on advertisement- much less than many other competitors in the industry (Jones, (2)). Critics also argue that Chipotle is using emotions to manipulate customers by using scare tactics to increase the demand for its food. Critics of the show Farmed and Dangerous also say that the portrayal of farming is misleading. In the words of a grain farmer in Iowa who opposes Chipotle’s tactics, “Chipotle is being a bully by picking on someone to knock them down to increase demand for their products” (Bureau, 2014). Another corn and hog farmer in Iowa says Chipotle is “using fear to market their products, creating distrust in the country’s food supply. This tactic is unfortunate for farmers because Chipotle is using fear and twisting the truth” (Bureau, 2014). Some also say that this criticism and controversy isn’t all bad for Chipotle. In the end, it gets people talking about the issue that is at hand. Critics also claim that the advertisements also do not show how Chipotle still has many non-organic foods with GMOs and that they occasionally serve conventionally raised meat. Many of these critics come from the farming industry, like the farmers in Iowa, and are upset about how they are wrongfully portrayed. It is true that these advertisements are not 100% in line with reality but they were intended to raise awareness about food. This is similar to the journalistic controversy between the exaggerations of Mike Daisy and Apple’s suppliers in China. Some facts might not be 100% true, but there is still a large problem at hand that should not be disregarded. 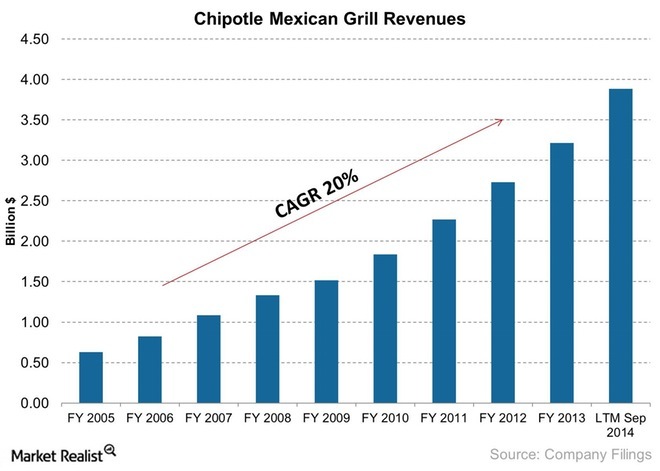 Chipotle is not perfect, but we have to appreciate the tremendous progress it has made in becoming sustainable. Let’s first look at Chipotle’s mission of being sustainable from a utilitarian set of ethics. Utilitarianism is the standard case of consequentialism. “Consequentialism is the view that morality is all about producing the right kinds of overall consequences” (Haines). Utilitarian thinking, a form of consequentialism, says that companies ought to do whatever brings about the greatest balance of pleasure over pain. Its “core idea is that whether actions are morally right or wrong depends on their effects” (Nathanson). Chipotle’s missions of Food with Integrity and Cultivate a Better World are favored by utilitarian philosophers because it is undeniable that these campaigns bring about more positive contribution to human (and perhaps non-human) beings than negative effects. Chipotle’s choices and efforts to have sustainable, healthy, and high-quality ingredients for customers maximize benefits for the greatest number of people while minimizing any suffering. The programs benefit local farmers through locally sourced food, animals through increased respect and treatment, as well as customers who get healthier and more sustainable ingredients but are also educated and made aware of the issues with industrial farming. These missions have the potential to shift a trend in the marketplace that will benefit consumer’s health in the future. The suffering is limited to the slight decrease in profit margins for Chipotle and bad media publicity for large industrial farms (which they rightfully deserve). In terms of raising awareness about issues with industrial farming, a utilitarian would agree that it was the morally right action because it had the best overall consequences. Raising awareness to the public (almost 23 million between the two videos) has better overall consequences than irritating farmers. Looking at Chipotle’s advertisement campaign through Kant’s Deontological moral theory creates a more interesting ethical debate. Contrary to consequentialism, according to deontological moral theory, “the rightness or wrongness of actions does not depend on their consequences but on whether they fulfill our duty” (Phillips, 78). Kant believed in the categorical imperative as the principle of morality. This categorical imperative determines what our moral duties are that we ought to do. His first formulation of the categorical imperative tells us to “act only on a maxim by which you can at the same time will that it should become a universal law” (Bowie, 4). Simply put, you are not allowed to do anything yourself that you would not be willing to allow everyone else to do as well. The second formulation of Kant’s categorical imperative states to “always treat humanity in a person as an end and never as a means merely” (Bowie, 7). Many of the critics of Chipotle’s advertisements claimed that the ads are manipulative or misleading customers in order to increase demand for their products. They could prove the advertisements to be unethical using Kantian ethics and the 2 maxims described above. If in fact Chipotle’s advertisements were manipulating and misleading customers, they would disagree with Kant’s first and second maxims. Manipulative advertisement “is something that we prefer not to happen to us and therefore shall not will it as a universal maxim” (Phillips 82). Therefore marketing agencies should not manipulate customers because they would not want other agencies to manipulate them. Everyone would be misleading customers and in result, there would be no truth and no trust in advertisements. Manipulative advertisement also goes against Kant’s second maxim. Manipulating and misleading customers uses them as means rather than ends. Critics would argue that Chipotle must respect people’s rationality by offering reasons to act, rather than using them or trying to mislead them to act in the way that we want them to. Chipotle’s advertisements could have been more factually accurate and less exaggerated to give consumers the choice to act rationally and make their own choices rather than to force an opinion on to them. “Advertisers who employ manipulative techniques obviously try to use consumers as means to their own ends” (Phillips, 83). Regardless, I believe that the majority of the viewers of the advertisements were not misled but rather received the message loudly and clearly. The critics are in the minority and want to discredit the video because it is shedding light on their malpractices in the food supply chain. Kant’s theory of moral worth evaluates people rather than actions. A person’s actions determine their moral worth, but there is more to this than merely seeing if the actions are right or wrong. A person has morals or lacks morals depending on the motivation of their actions rather than the outcomes of the actions themselves. Kant argues that one can have moral worth only if one is motivated by morality. Any actions motivated by self-interest have no moral value; “only when a good act is performed from duty does it have genuine moral worth” (Phillips, 79). Norman E. Bowie uses Marriott as an example to put a twist on Kant’s theory. Marriott Corporation hired welfare recipients to get “good employees for the long term but also to help these communities” while also helping the bottom line (Bowie, 13). Strict Kantian ethics would not call this act a good act because it is being done in conformity with duty, but not out of duty. The motive of this good act is not pure as it is dealing with the bottom line. You could argue that the motive of the action was to make money, and not to actually help the community. Marriott, like Chipotle, is a publicly held corporation; it has an obligation to make a profit to shareholders. Therefore, Marriott’s hiring of welfare recipients can be moral even to a strict Kantian because it is honoring its obligation to realize profits as well as its obligation of beneficence. Whichever the original motive was, it is meeting both obligations. This rationale can be applied to Chipotle and its advertisements, depending on Chipotle’s original motivation. If Chipotle’s motivation was either to genuinely raise awareness for irresponsible food sourcing or increase demand for their products, then even a strict Kantian could call it a moral action. Chipotle is both acting morally by raising awareness but also because it is honoring its obligation to raise profits for shareholders. However, if the critics are right about Chipotle’s motivation to manipulate customers and use scare tactics to increase their personal demand, then a strict Kantian would call this action immoral even if it honored Chipotle’s obligation to raise profits. Chipotle would be acting in its self-interest and would have no moral value according to Kantian. I strongly believe that Chipotle’s efforts were not to mislead customers, but rather to raise awareness about the agriculture industry and to broadcast their mission to become sustainable. It became evident to me that this was their motivation when Chipotle audited a supplier that wasn’t in accordance with their standards and upheld its responsible standards at the cost of removing one of its ingredients. Chipotle could have kept purchasing from this supplier which would have been in accord with its self-interest. However, the action was not motivated by self-interest but rather by duty and in line with Kant’s moral values. Although it still has room for improvement, Chipotle is in the forefront of creating a sustainable and responsible food supply. It is at the same time raising awareness about malpractices in the industry. Hopefully, with the aid of policy changes Chipotle’s mission and practices can become the norm across the fast-food industry. Stay tuned for a white-paper that will explore the policies needed to make Chipotle the new standard. Chipotle Mexican Grill (2015). 10-K Annual Report 2009. Retrieved march 30, 2015, from SEC EDGAR website. Phillips, M. (1997). Three Other Ethical Criticisms. In Ethics and manipulation in advertising: Answering a flawed indictment (pp. 80-84). Westport, Connecticut: Quorum. Sales of “only $628” million? LOL. That is still a lot! Very thorough discussion of the advertising. Moreover, exaggeration gets at effects to promote effective communication. Kant was maybe too binary about truth versus lie. Real communication has more shades of grey.